In a jam-packed Event Marquee at Kinsale Yacht Club, Mike Walsh, Regatta Director for this year’s event, was Master of Ceremonies and announced Equinox as the winner of the 2015 Sovereign’s Cup. The Howth Yacht Club boat, owned by Ross McDonald has displayed an incredible run of 6 consecutive wins over the last three days to win the title as the boat that the organising committee judged was the best performing boat in IRC! Clubmate Maximus, owned by Paddy Kyne, ensured that Howth Yacht Club was a major winner on the evening. Maximus, was judged the best performing boat of the regatta under the ECHO handicap. 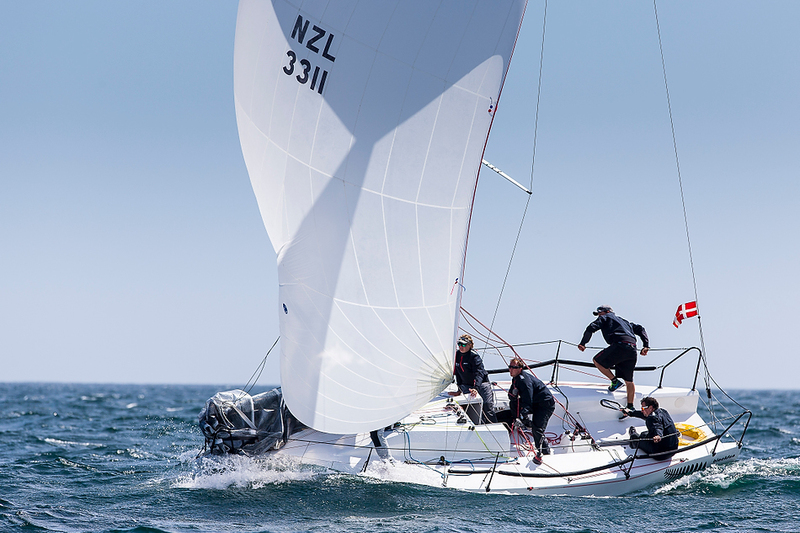 The Irish Quarter Ton Cup was won by Tony Hayward’s Blackfun from Cowes, with a score of 6 bullets and a second in her series. And last, but not least, and very popular winners with the local Kinsale Yacht Club contingent, was Baccarat, owned by the McCarthy Brothers Anthony and Brian, who won the Non-Spinnaker Trophy as the best performing boat in the non-spinnaker divisions.